← A Very Special Dinner Opportunity! Exciting adventures are in store this month at the Heritage Mica Festival at Murphys Point Provincial Park. Have you ever wondered what it was like to be a miner in the year 1900, working in an underground mine and using black powder to blast the rock? Well you can “Be a Miner for a Day” on Saturday, Aug. 11 and Saturday, Sept. 1 and take part in this real-life experience. Costumed interpreters will tell the story of the mine along the Silver Queen Mine trail. Visit the restored ore wagon and a replica horse whim on site. 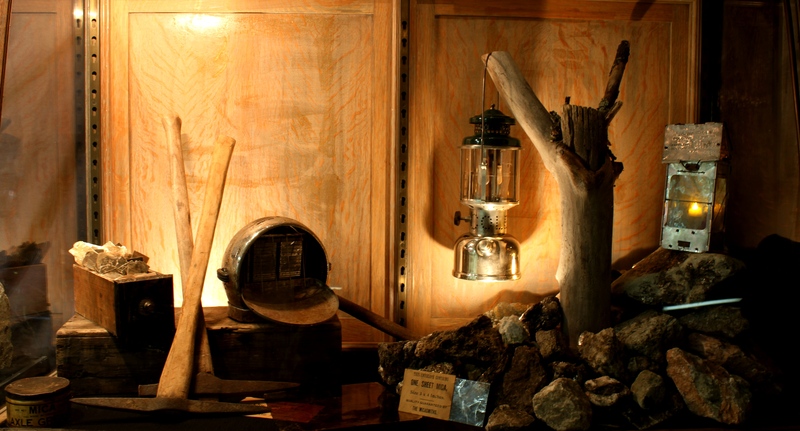 You can don a hard hat and take a trip 70 feet underground to the mining cavern to view a mining demonstration. A BBQ lunch will be available at the miners’ bunkhouse or you can bring your own picnic lunch. Traditional live music at the bunkhouse will add to the experience, which is suitable for all ages. It is a 1 km walk to the bunkhouse so you need to be able to manage that distance. This event runs from 10 a.m. to 3 p.m. and vehicle park entry passes can be purchased at the main park gate or on site at the start of the trail. If the underground experience is not for you, then why not take to the waters of Hogg Bay in a Voyageur Canoe? 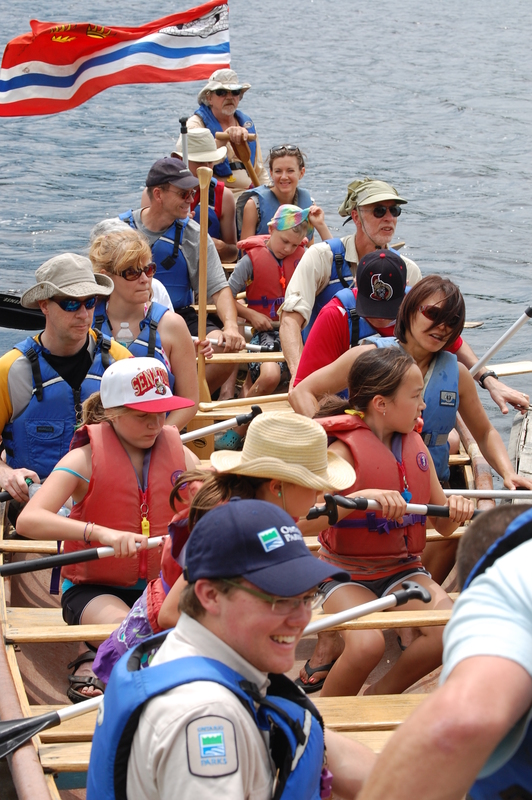 On Sunday, Aug. 19, the Rideau Roundtable Voyageur Canoes will be arriving at the Hogg Bay beach ready to take on apprentice voyageurs. Tours will leave the beach at 11 a.m. and 1 p.m. Tickets for this unique experience are just $3 a person or $10 for four people and advance reservations are recommended. Contact us at eventsmurphys@ripnet.com or 613-267-5340 to book your tickets. Since paddling requires healthy, well-fed voyageurs, why not enjoy the fabulous pancake breakfast being served at the beach between 10 a.m. to 12 noon! A few tickets are still available for the Dinner/Theatre at the miners’ bunkhouse on Wednesday, Aug. 15. This unique opportunity includes a theatre presentation, a visit to the underground mine and a full-course dinner served in the tradition of the year 1908. Tickets are $55 per person including all taxes and must be booked in advance. Spirit Walks and an amphitheatre performance by Corkery Road round out the month’s activities. All details are posted at www.friendsofmurphyspoint.ca/heritage-mica-festival/ or you can contact us directly for further information. The Heritage Mica Festival is in the third year of operation, celebrating the history of small-scale mica mining in what was formerly North Burgess Township. Mica was mined here commercially starting in the late 1800s and was an important part of the local economy of the day. 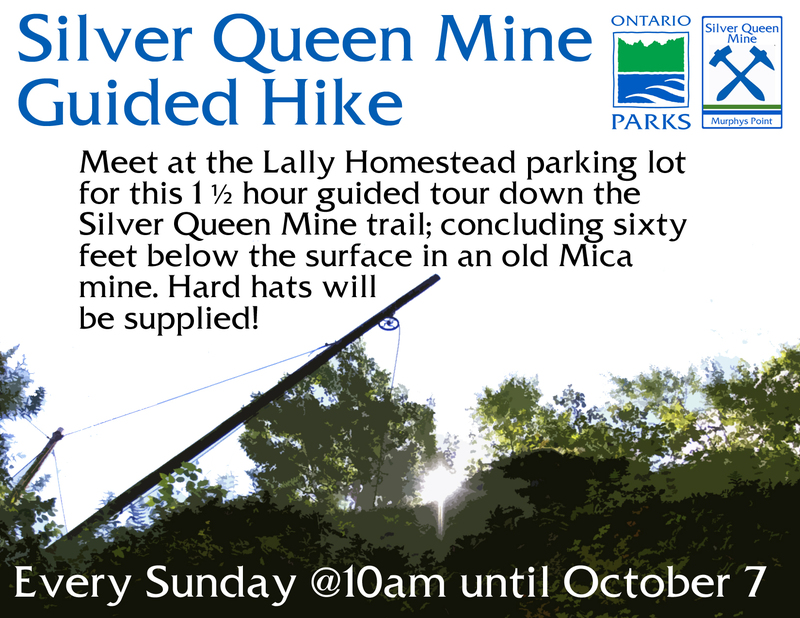 Today the Silver Queen Mine has been recognized as one of the Seven Wonders of Lanark County and is open to the public on select days for viewing. The Heritage Mica Festival has received support from Tay Valley Township; the Ministry of Tourism, Culture and Sport; Valley Heartland and Ontario Parks in addition to many community and corporate partners. Some events have an admission fee and advance tickets are always recommended to ensure availability. Contact us at eventsmurphys@ripnet.com or by phone at 613-267-5340. All events at the park require a vehicle permit for entry. This can be a current camping pass from any one of the Ontario Parks, a summer or annual pass or a day-use permit. Day use permits range from $7 to $14, can be purchased at the park gate and provide access to all the facilities at the park. Murphys Point is located just 20 minutes south of Perth on the Elm Grove Road and is classed as a natural environment park. Camping reservations are available at www.ontarioparks.com. This entry was posted in Friends of Murphys Point, Geology, Heritage, Heritage Mica Festival, Mica Festival, mica mine, Murphys Point, Murphys Point events, Murphys Point Provincial Park, Seven Wonders of Lanark County, Silver Queen Mine, visitors centre, Voyageur canoes and tagged canoe, character actors, Friends of Murphys Point Park, Heritage Mica Festival, heritage music, Mica Festival, mica mine, Murphys Point, Murphys Point events, Murphys Point Provincial Park, rideau canal system, silver queen, Silver Queen Mine, tay valley township, Voyageur canoes. Bookmark the permalink.